Over at my other blog, The Everyday Language Learner, I began a new venture to get people to send me postcards from where ever they live, telling me why they are readers of the EDLL blog. It’s a way to build the community there, to share people’s stories and to get postcards. I like postcards. I like letters in general. Getting a good, long letter from a friend is like a gift. After finding an uninterrupted space of time, I’ll brew a cup of coffee and find a good seat from which to enjoy the letter. I’ve never done that with an email. My wife is an even bigger fan than I of all things letters. For her it is an art form. The letter is important but so is the paper it’s written on, the envelope it is sent in and the stamp. I’ve been given the look more than once for putting a plain American Flag postage stamp on one of her hand-made envelopes. 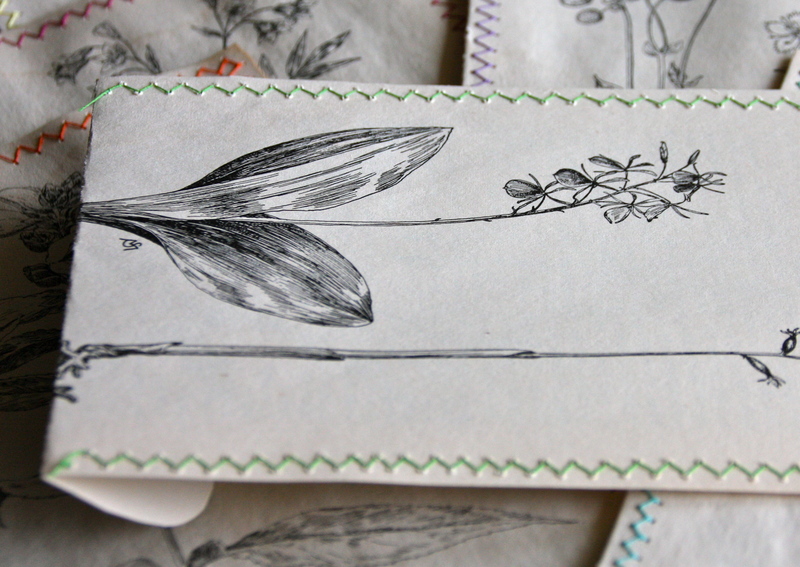 For Consuelo, letter writing has become a bit of a cause – one worth fighting for. As we have been looking for ways to cobble together an income over the last six months, I’ve encouraged her to think about finding the convergence of her passions, her creative giftings and the economic realities that require income generation. That is where I hope everyone can find themselves – making the money they need to live through the passions and skills that both bring the most joy and do the most good. It is what I try to do over at EDLL. And now Consuelo is ready to give it a try. 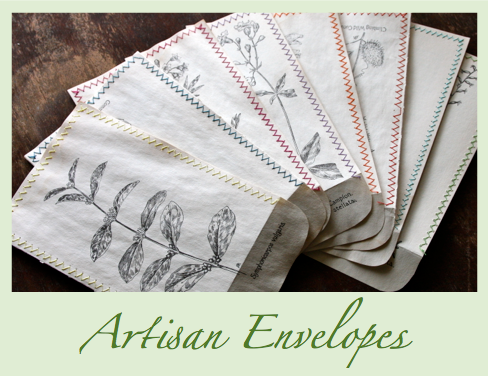 We would like to introduce a new series of products – hand-made artisan envelopes and stationary. 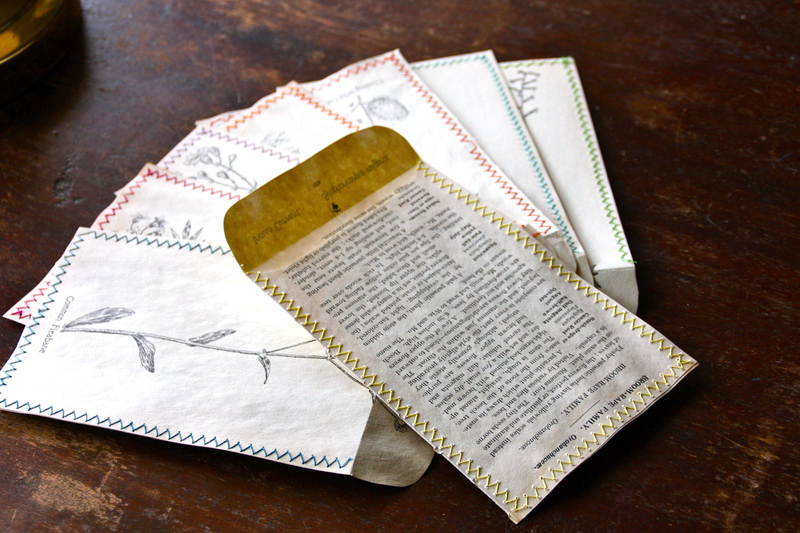 Each envelope is cut from a beautiful wildflower guidebook whose pages swelled and binding broke when it found itself sitting in the bottom of a box that found itself sitting in a puddle of water. 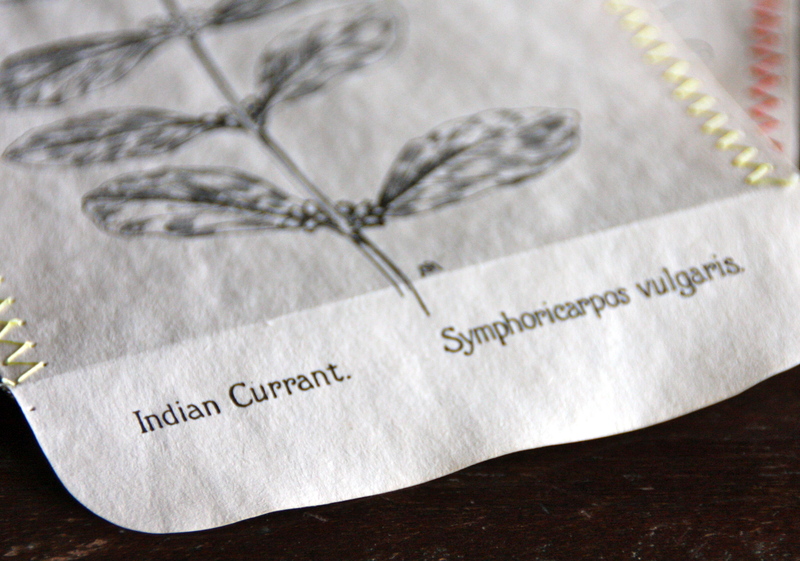 The envelopes are all stitched – no glues, no staples – just thread. 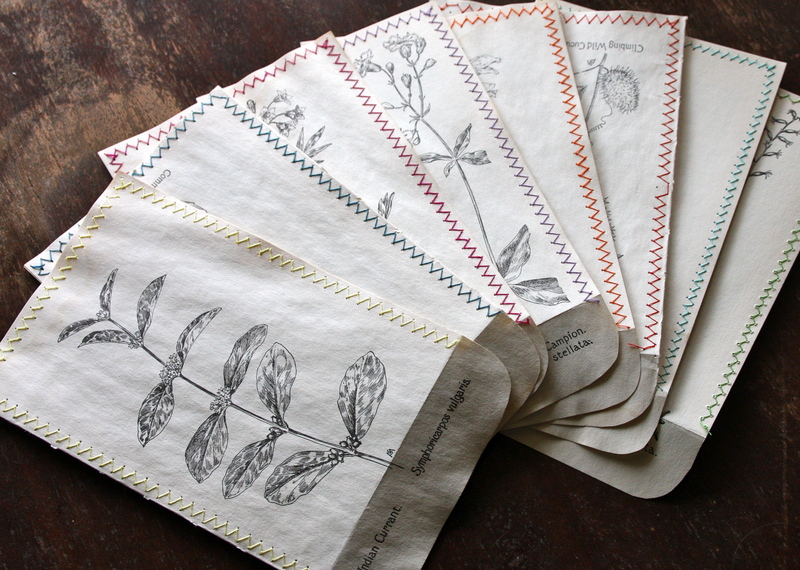 Each set of eight envelopes comes with 10 sheets of recycled stationary. If you love these envelopes, please take a moment to share this post with your friends and help us spread the word. Thanks! Love these! Addison enjoyed her letter she got from Sonora that was sewn together like this. Has she thought about selling them on etsy? She is sort of testing the waters here. We need to look into etsy. Not too familiar with it but do know that it is a place to sell stuff like this. We’ll see. the great thing about etsy is that it’s a place people go to look for these kind of things. when I want a certain type of handmade good I search on etsy specifically vs. simply google for example. Something to consider. The envelopes are gorgeous by the way. I somehow found my way here from following you as a language learner. Anyways sweet envelopes! 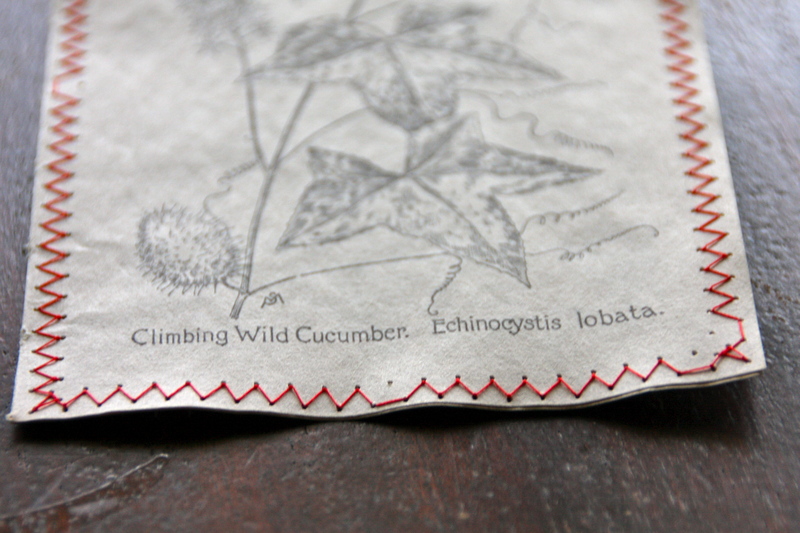 Has your wife thought about selling them with the seeds for the plants in them? That’s what I immediately thought about, letting people send friends or loved ones seeds for a garden as a gift with an amazing design/packaging. Thanks for the comment and for stopping by! My main work is with language learning, but I need other outlets as well! 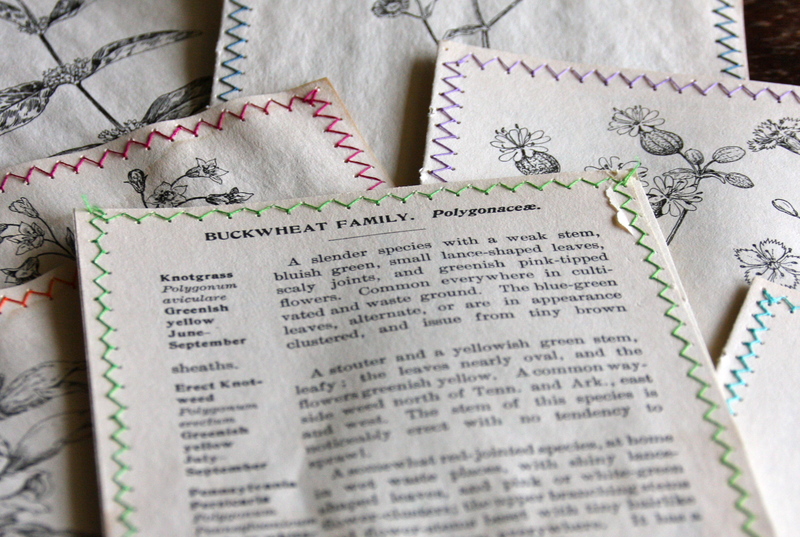 I love the seeds idea though these are made from the pages of a wildflower guidebook and I think finding all those seeds might be a challenge. Thanks for sharing the kickstarter project as well – pretty cool! Added some new envelops today too. Check them out in the new blog post.